the swarm of office-seekers that beleaguered the White House, filling all the halls, corridors, and offices from morning till night. The patient good humour and the democratic habits of the new President led him to give audience to everybody, at all hours. Even the members of his Cabinet, sometimes had to force their way through the crowd and get the private ear of the President in the corner of a roomful of visitors, before they could impart to him grave matters of state. Such scenes had become de rigueur for new administrations during the nineteenth century and, immediately after the election, the humorist Artemus Ward (whose real name was Charles Farrar Browne) imagined hordes of applicants invading and occupying Lincoln’s home in Springfield, before the President-elect had even left for Washington. 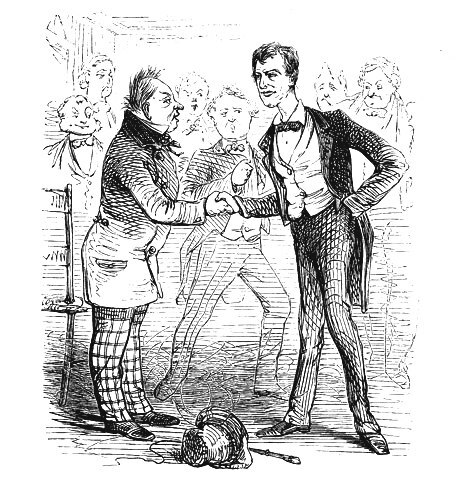 Ward’s satirical pieces, narrated by an uneducated traveling entertainer with a special knack for malapropism, were enormously popular and would sometimes acquire the aura of fact; the Daily Illinois State Register claimed that Ward had actually advised Lincoln to appoint to his cabinet “showmen, as showmen ain’t got nary darned principle”—a line lifted nearly verbatim from the following story. I hiv no politics. Nary a one. I’m not in the bisniss. . . . If you don't see the full story below, click here (PDF) or click here (Google Docs) to read it—free! We at Seward House Museum (Auburn, NY) --the historic home of William Henry Seward - are great admirers of Frederick, who finished his father's autobiography and then wrote the above book about his on time in the State Department. After reading TEAM OF RIVALS I came away with a much deeper respect for Seward,both in empathy for what must have been his bitter disappointment in not getting the nomination that Lincoln got but for his eventual deep love and admiration for the man,so I determined to make a motorcycle trip tovAuburn the following Spring. Well worth it,for it is a beautiful home filled with original furnishings. Ah, where is Artemus Ward when we need summin to put thengs in perspecktiv?